Donated by: Stan Sieler (835S). 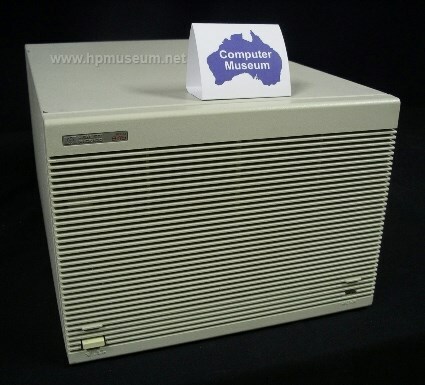 The 9000/825S was the first low-cost PA RISC server from HP. It was a scaled-down version of the 900/840S. 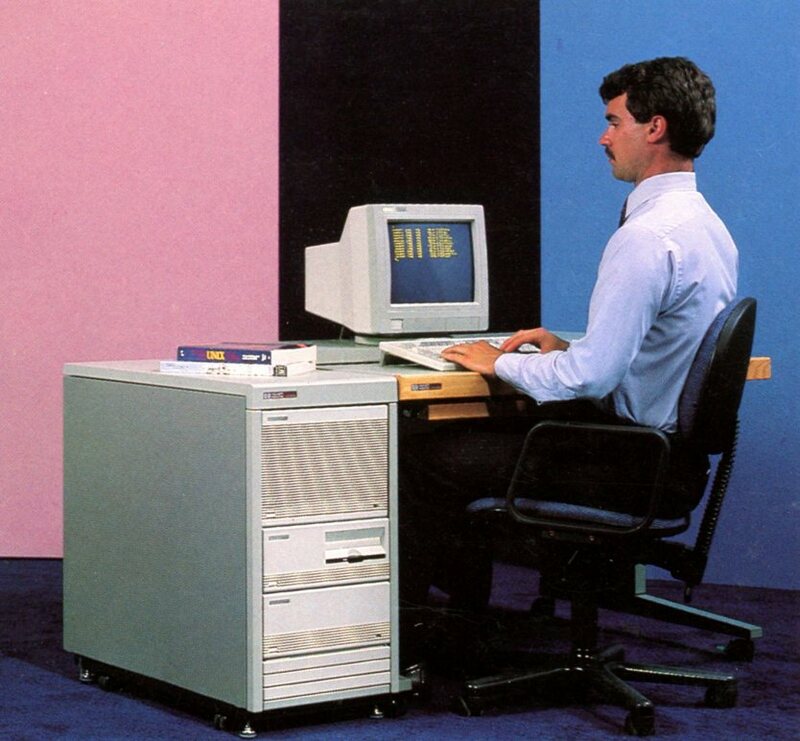 The 825S incorporated the same modular mini cabinet design used by the 9000/550. The 825S came standard with 8 MB of main memory had a maximum of 192 MB . It could access up to 22 GB of hard disc storage. The 825S could support up to 64 users. The 825SRX had a performance of 8 MIPS in a workstation environment. The 825 along with the 850 were the first computers in the 800 Series to incorporate HP's NMOS III VLSI chip tecxhnology (first used int he 500 Series computers). The 9000/835S (A1035A, $37,000) was introduced in 1988. It had twice the performance of the 825S. The 9000/835SE (A1040A, $80,000) came with 24 MB of main memory and the A1013A I/O expander. The 9000/845S (A1608A, $59,500) was introduced in 1989. It had three times the performance of the 825S. The 9000/845SE (A1609A, $130,000) included extra memory and the A1013A I/O expander. In 1989, HP introduced the 9000/600 Series servers. This range consisted of two products - the 635SV and the 645SV. The 635SV (part number A1620A, $49,000) was basically a 9000/835S bundled with a 35401 tape autochanger, a 670 Mb disc drive and some other components. The 645SV (part number A1607A, $84,500) was basically a 9000/845S bundled with two 670 Mb disc drives and some other components. The 3000/9X5 and 9000/8X5 classes of computers are very reliable. As of 2013, the four units we have at the museum were all fully functional. Console output from these computers comes through a MUX card (port 0 on the distribution panel). Be patient when you first start the computer up. Nothing will appear on the console for about one minute and 45 seconds, when the boot path screen appears. Prior to that, the big red fault light will be on while the bank of LEDs on the front panel goes through the inilialization sequence.